At the 11th hour, the author of the bill to rewrite the teacher evaluation law has offered compromises intended to placate opponents and to qualify the state for a waiver from the No Child Left Behind law. The latter may work, but probably not the former. Key amendments to AB 5 that Assembymember Felipe Fuentes released Thursday (see link below in “Going Deeper” for the amendments) don’t appear to have softened the opposition of organizations representing school administrators, school boards, and some student advocacy groups. They say the biggest problem with the bill remains: It makes every aspect of evaluations subject to negotiations with teachers unions, eroding power that districts assert they have had to unilaterally set the criteria and standards for evaluations. “EdVoice still strongly opposes AB 5,” Bill Lucia, president and CEO of the Sacramento nonprofit wrote in a statement Thursday night. The requirement that districts adopt at least three performance levels. The current law, the Stull Act, has only two: Satisfactory and Unsatisfactory. The adding of a third, such as Excellent, could enable districts to reward the best teachers and shield them from layoffs and bumping rights. The mandatory use of state standardized test scores as one of several factors that measure a teacher’s contribution toward student academic growth. The Stull Act had required this but AB 5 until now had proposed that the use of state test scores be optional in evaluations. The feds, in listing requirements for a waiver, want test scores to be a “significant” component in measuring student growth. AB 5 does not include that word; each district and union would determine how much weight to give test scores, as well as factors such as student portfolios and presentations. The creation of model teacher evaluation systems by the State Board of Education for possible adoption by districts. The idea behind it is that the models would provide guidance that could eliminate protracted deliberations on difficult issues like establishing guidelines for teacher observations and developing consistency in training administrators on conducting evaluations. Sue Burr, executive director of the State Board, said last week that federal education officials had suggested the Board adopt these models as part of a waiver application. In May, the State Board submitted a NCLB waiver application that ignored the requirements for teacher evaluations and other conditions. The state has yet to hear back from Duncan, and he has not publicly commented on it. Instead, he has announced plans to invite districts in states without a waiver to submit their own waiver proposals. If AB 5 passes and Gov. Jerry Brown signs it, the State Board is expected to file another waiver – one that conforms with the Department’s rules. The Board would have to approve the waiver at its Sept. 12 board meeting to meet the federal deadline. High costs of a new mandate. The state already reimburses districts about $18 million each year to cover reimbursement for negotiations under the Stull Act. AB 5 would broaden who would be evaluated and how often, along with adding costs from principal training and the expense of several teacher observations. This year, these costs will be included in a block grant of $28 per student covering teacher evaluations and other education mandates. Districts know that the new evaluation system will be expensive – how much isn’t clear – and are worried that the governor and Legislature won’t increase the block grant, leaving them holding the bag when AB 5 takes effect on July 1, 2014. Fuentes is proposing to shift $60 million next year from a program for improving the lowest-performing schools, QEIA, to prepare those schools for the new evaluation system. Other schools and districts would not have any one-time startup money for the new system. Latest amendments to AB 5. The current law, the Stull Act. Los Angeles Unified’s argument asserting the district’s right under the Still Act to decide standards and criteria for evaluating teachers. Whether school boards have the unilateral power under the Stull Act to determine the factors behind an evaluation and how much weight to give them has not been tested in court. Los Angeles Unified is pushing its authority in creating a voluntary pilot program for teachers at the same it is negotiating with United Teachers Los Angeles to implement it. An attorney for the district has written a brief laying out the district’s authority. The CTA has issued a rebuttal (which I have not seen). The union argues the primary goal of an evaluation system should be to guide teachers to perform better. That requires trust, which can’t be built by imposing a system on teachers. Negotiations prevent bad systems, such as the disproportionate use of standardized test scores to judge teachers. 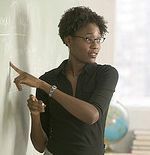 Districts argue that they should have the power to set the criteria on which teacher performance will be determined. Otherwise, there will be a weak system of expectations. Fuentes is expected to introduce the amendments on Friday. The bill is expected to return to the Senate Education Committee early next week for a public hearing. OK, one more time: yes, the Stull act will be changed as of January 1, 2015 (something I missed since I did not read the pertinent section to the end, mea culpa, mea culpa). I contend, however, that this is not a “let’s do it for the children” issue. It is a labor issue. Can an organization that has Frank Baxter, Richard Riordan, Eli Broad, John Doerr, Carrie Penner, and Reed Hastings on its board be truly a “student advocacy group?” Have any of these people been members of their local PTA, for example? If anything, they are better known for being wealthy people with a political agenda. Is it any wonder why CTA is being attacked over this? And don’t let me waste this opportunity: if the Common Core assessments are designed to produce results that fit a Bell Curve, there is nothing teachers can do to ensure that 100% of students are proficient. We will always have, as we have now under the CSTs, half the population labeled as non-proficient. Are we going to force those students to repeat the grade? Are we going to fire the teachers who taught those students? This is madness under the guise of accountability and we will reap what we sow. John – You’re analysis re: the mandate block grant is somewhat incorrect. Only school districts that opt into the Mandate Block Grant will be eligible for reimbursement through the block grant. The option to file “traditional claims” is still available. Since the Mandate Block Grant offers High School Districts and Unified School Districts less reimbursement than the traditional method; some districts will opt towards the traditional method of reimbursement. Thanks for the reminder on the going deeper.. I missed that link (again 😛 ). Of course a third option may just be that whoever did it didnt know what they were doing.. 🙂 Anyway, the moral of that story is that our site council ended up disregarding these results entirely because they were so unexpected as compared to the earlier ongoing assessments. Obviously site councils have nothing to do with teacher evaluations, but it would not be difficult to imagine a bargaining entity refusing to use ongoing assessments when surprisingly arbitrary things like that can happen. – the validity of any assessments is contingent on state board adoption (which obviously CST and CC have been.. though it will be interesting to see whether adoption of tests will now include a ‘validity check’ for their efficacy on indication of measure of teacher input. It seems odd simple adoption would be enough if the adoption process did not include that (did it for CSTs?)). Interestingly, it looks like teachers of ELLs will be evaluated based on CELDT results. I wonder if that will increase reclassification rates. The text might seem to imply this applies only to LDRTs or similar, but it could also be interpreted to be any teacher with an ELL student in his/her class (most everyone in CA?). If anything, that should really increase focus on the CELDT measures. Its interesting to see how different that subgroup scores on CSTs and CELDTs. You must be referring to the Assemblymember, not me, Navigio. I ate breakfast at home. Check later today for the most recent amendments. The ones that I included in “Going Deeper” are the ones you are looking for. Sounds like someone had breakfast with Michelle Rhee..
Btw, John, when you write about bills, is it possible to get links to more up to date bill text or are those things only available to the press? The story mentions the amendments were released thursday, but the last version of the text on the AB5 page is from tuesday and I couldnt find anything more recent on Fuentes’ page either. The wording that validates CSTs does not seem to be in that version and I wanted to see the context (if there was one).